I have put way too much effort into this. So, I like Pokemon. I like the Eevee family in particular. There happen to be 9 of them. MAKE THEM A BASEBALL TEAM my brain said. Well, why not? And after many hours and countless failed runs at PawaFes trying to get that original pitch on Eevee, now we have this. I did my best to make each player similar to the Pokemon they're based on. High attack power translates to long banging power high POW. Good defensive Pokemon have good fielding abilities, speed = run speed, yadda yadda. 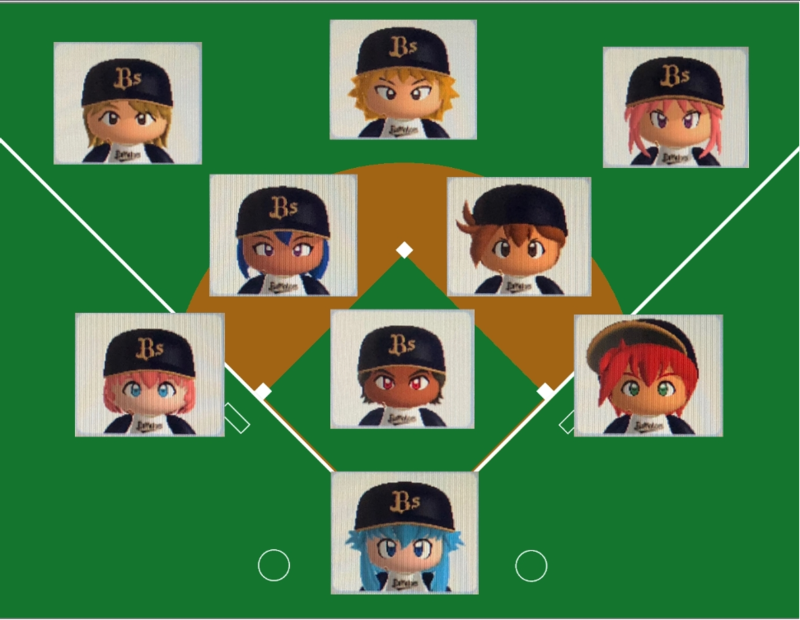 They ended up a pretty balanced team with exactly 9 players and just enough pitching among the 3 dual-type players (Eevee, Espeon, and Umbreon). They're really fun to use in exhibition mode! 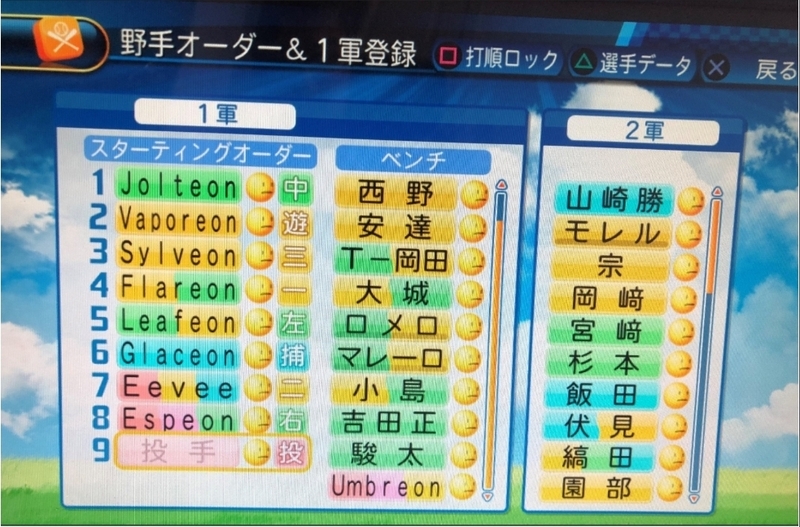 I'll put each of them in the Pawapuro pw exchange later in case anyone wants to try them out. And just for fun, here's a depth chart with their human faces on it!